The film does a nice job of paralleling the intertwined stories and making you really feel for the characters. In fact there is a nice character depth to almost all of the main players. 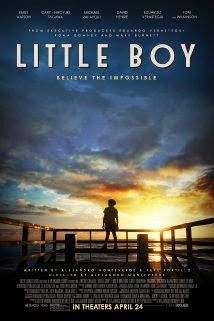 LITTLE BOY is a great choice this week. It will make you smile, but you'll need some tissues as well.